The goal of waiting in line is to get an audience with the pharmacy tech to get needed pills. This pencil sketch, augmented by pen and ink depicts the goal of the people in yesterday’s drawing. 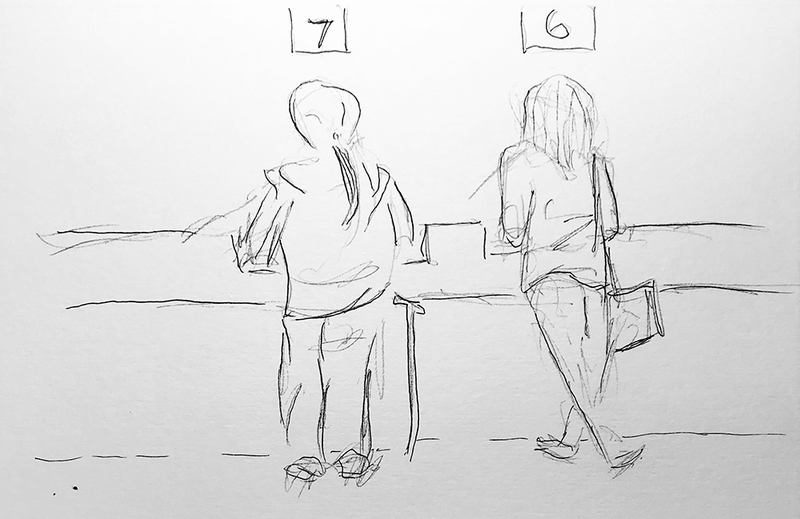 This entry was posted in Personal Stories and tagged artistic process, creative process, creativity, drawing, pen and ink, pencil sketch, portraiture, sketching, visual arts, waiting. Bookmark the permalink.